Model City Polish: Ramones Collection! So yeah! 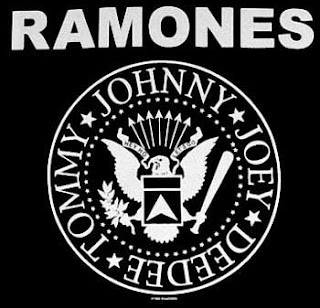 The Ramones! The three polishes I have to show you were inspired by this American punk rock band from the 70's. 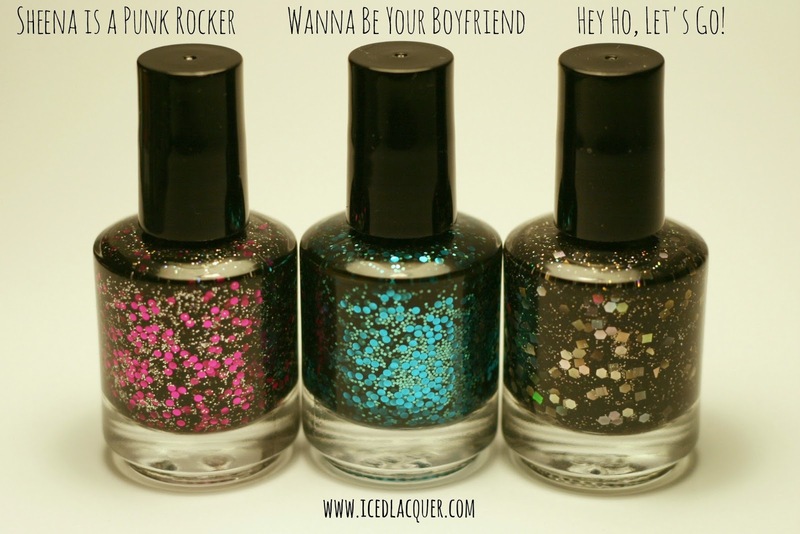 All three feature a unique mix of glitters in a black jelly base. For each swatch I built up the opacity with 3 coats and didn't need to use a black base coat. All swatches are shown with top coat. Sheena is a Punk Rocker - This black jelly base is filled with tiny holographic glitter and a larger, round magenta glitter. I love the contrast between the smaller sparkles with the pop of pink. And you should know by now how much of a sucker I am for circle glitter! Hey Ho, Let's Go! - This last one has the same tiny holographic glitter from the first polish, but this time it's accompanied by large square and hex holographic glitters. This one seems like it would be a fantastic base for a galaxy manicure! I really love these three polishes, both on their own and as a collection. The black jelly bases tie them together, but each one is different enough from the next that they all have something special. You can find these polishes along with a ton of other purdy colors on Etsy HERE. Make sure you like her Facebook page HERE and you can even follow her beautiful nail polish blog HERE!